Insurance stocks seem unstable. I talked about United Health (NYSE: UNH) yesterday. The same goes for Progressive corporations (NYSE: PGR). So are other insurance stocks. 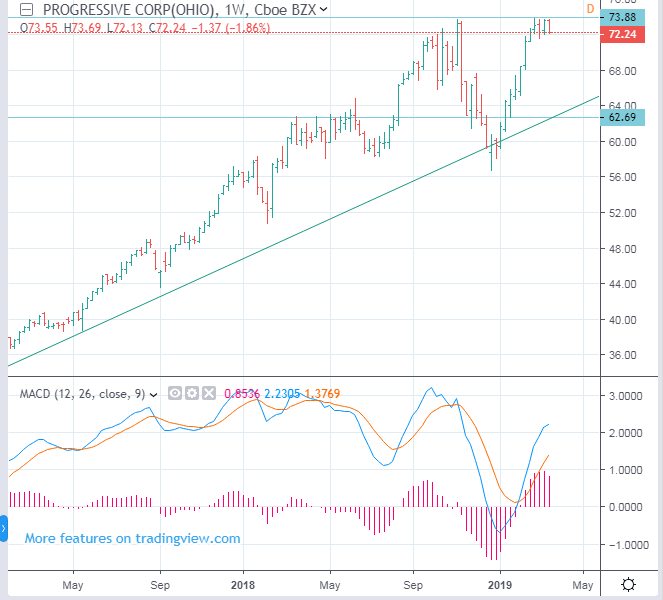 Progressive is likely to move between 62.69 and 73.88. It would be better to close the buy-positions now. In the short term, it seems better to sell. It will take a lot of time for the market to decide new direction again. It is better to be outside the market for a while.